The event for the Chinese New Year the Boulevard Mall was quite spectacular this year. Roland Sansone purchased the mall in 2013. 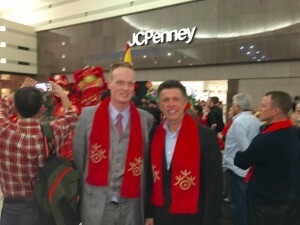 Roland Sansone and Timo Kuusela the General manager of the Boulevard Mall, at the Chinese New Year Event, Las Vegas, 2016.